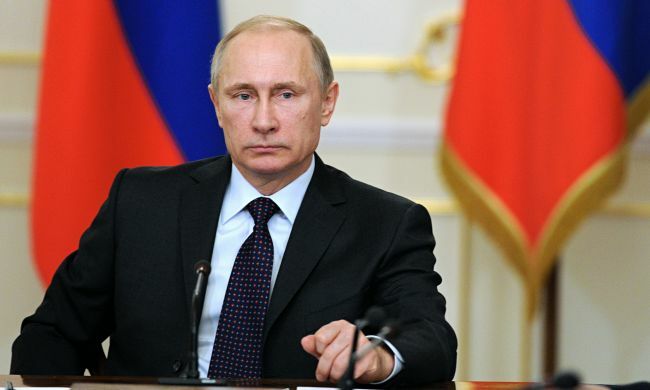 Is Vladimir Putin the most powerful man in the world? Leaders of Turkey and Israel find themselves inside the walls of the Kremlin in the next two days as President Vladimir Putin tries to entrench Russia's resurgent role in the Middle East, CNN reports. Putin's interests hardly coincide with those of Turkish President Recep Tayyip Erdogan or Israeli Prime Minister Benjamin Netanyahu - especially in Syria. But as the Trump Administration is yet to work out its Middle East policy, Russia has unprecedented leverage in the region. Putin: consolidate Russia's leading role in Syria, preserve a delicate entente with Turkey in leading the Syrian "peace process" - and continue to try to coax it away from Europe and NATO as part of a broader strategy of weakening the western alliance. Netanyahu: persuade Russia to help reduce and minimize Iran's influence in Syria (and by extension Lebanon), underscore good personal rapport with Putin. Erdogan: promote Turkey's interests in Syria, if possible at the expense of the Kurds, and secure a role in the offensive against Raqqa. Put the US on notice that there are alternatives to American leadership in the region. Turkey has found itself on the losing side in Syria after backing rebel groups that have been hard hit by the regime's offensive. It has responded by launching an incursion across its border, helping rebel factions to expel ISIS from the town of al-Bab and occupying a large patch of northern Syria. But as much as taking on ISIS, the Turkish move was about preventing the Syrian Kurds from expanding their footprint. That offensive has now brought Turkish-backed forces within touching distance of the Syrian army. At the very least, Turkey needs Russian help in preventing any clashes. It's also furious about Washington's ongoing support for the Syrian Kurds, who have proved to be the United States' most reliable partner in Syria against ISIS but who -- in Erdogan's view -- are a terrorist group closely tied to Kurdish militants in Turkey. Last year, Turkish Foreign Minister Mevlut Çavuşoğlu said the US had "chosen a terrorist organization over its ally." As he waits to see how the Trump administration's policies will evolve (so far there are no signs the US will abandon the Kurds in Syria), Erdogan will want to get a sense of Russian thinking as the battle to liberate Raqqa from ISIS nears. But after spending 18 months putting Assad back in control of much of Syria, Russia is not in the mood to make too many concessions -- for example on Turkey's longstanding desire to establish a safe zone in northern Syria.